This Blog follows on from asking questions about Changes at Greenbelt and about the lack of UK Emergent Speakers. Part of the reason that we have fewer UK 'Name' speakers is that emergent movements in UK Christianity have tended to follow the pattern of Symposia - either communicating through worship or short talks. This does not naturally produce single name speakers. For the Rural Fresh Expressions events we did book a couple of named speakers, but they were not the focus of the conferences. The idea was that all who attended were contributors and practitioners. Everyone who wanted to come to the conference was invited to submit some background and part of their (communities) story. This was distributed to everyone before the conference, so we all knew something of one another. The conference was open to non-practitioners too (although they had a lower booking priority), but they too had to share what they were interested in learning and sharing. From those submissions we asked some people if they would be willing to present something in more detail. Only 10 minutes or so. From that we facilitated conversations and reflections. Some of these sessions we broke into smaller groups with particular focus: Youth, Mixed Economy, Older Folks. These groups too were places to discuss and share because fundamentally everyone was a contributor. Interestingly we never had a problem with gender balance in terms of speakers and leadership. It was a non-issue. 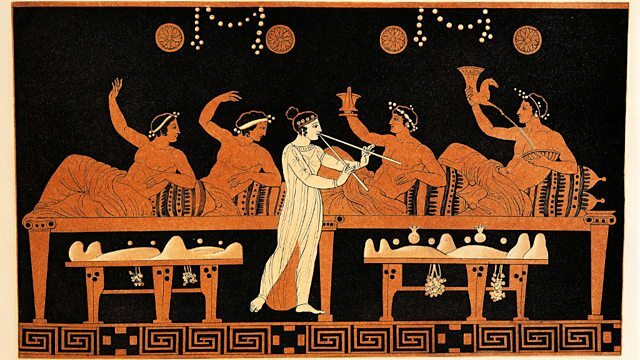 And yes, the Greek concept of symposium also came into play as we enjoyed social time too. Even key contributors were not kept from others. The Fresh Expressions pilgrimage to Coventry worked along the same lines - although the medium was worship rather than talks. The New Monasticism symposia have worked in a slightly more academic way. The Alt.Worship gatherings 15 years ago worked this way too. Greenbelt has worked a little like this, UK Emergents have contributed worship, short talks, panels and discussions - although this year many of us have felt this aspect was lacking. So again the question is - do we need a new space for UK Emergents or do we need to propose to Greenbelt that we are more intentional about it?